But now i can share some code which translate very few keywords from BASIC to C. Why I choose these 2 language is ease of understanding. BASIC is like normal English. Even a newcomer can understand the code. C is more professional and has a compiler to compile. BASIC is an interpretive language, Most implementation are interpreter, though some BASIC compilers are available. compile under Linux using gcc. and see the generated file and enjoy. // define a doubly linked list to represent a token. // now we will search for keyword token "NEXT"
subtk = subtk->next; // this must be a punctuation "("
recently I came across a post in FaceBook page of ( Puiu Alexandru ) yo2ldk. The article referred to in his post is in Japanese language. Though Google translate it to a comprehensible state, but if it was in English then it would have been better. Any ways the look in the picture is nice and very cute! Though it is a receiver only and priced around $99+6(shipping) as per yo2ldk, in my view it would be a good addition to SWLs and HAMs' shack. WFM bellow 86Mhz in my part that is India is not much useful. So it is desired up to 110MHz. But for HAM use if it can cover up to 150MHz then that will be an asset for every HAM on the moov and companion for every SWL. If it can be complemented with any add-on board for TX capability then it would be a great. Eastern India HAM Meet 2018 at Puri. 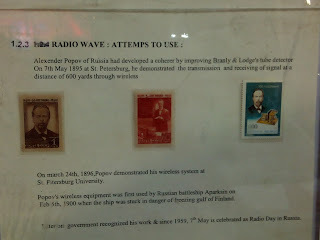 HAM or amateur radio is a technical hobby. Like any other country in the world.Number of active hams in India is not as much as is in Japan USA or Europe. But people like Farhan VU2ESE, Ramprabhu VU2DEV, Rahul VU3WJM and Charu VU2UPX are name a few... Who made india proud. Eastern India i.e Bihar,Jharkhand, Odisha, West Bengal, Asam and Northeastern states of India had a good number of active HAMs. 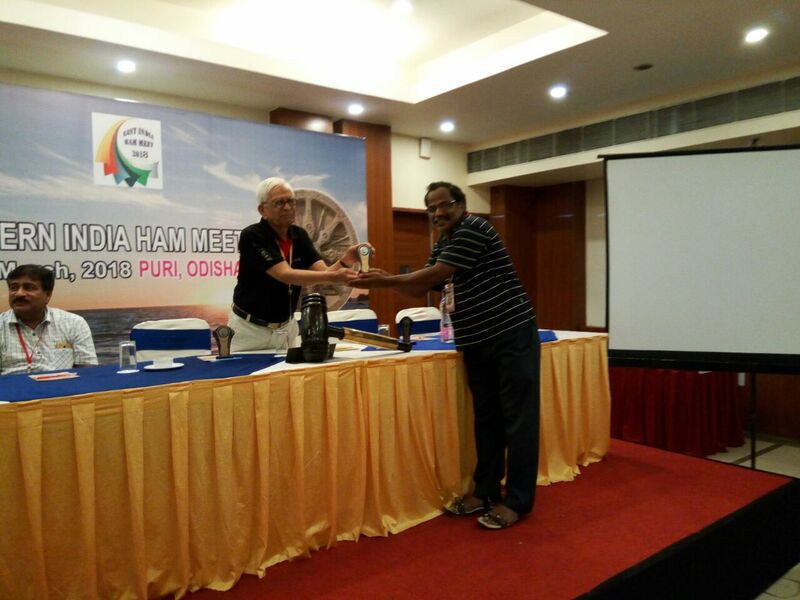 For the last 2 years Eastern India HAMs meet on a forum known as EIHM. This year it was organized by HAMs of Odisha and it was held at Puri,Odisha on 17th and 18th March 2018. 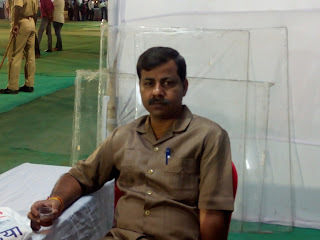 HAMs from Bihar, Jharkhand, Odisha and West Bengal attained this year. 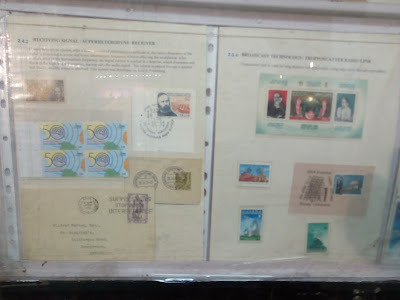 One interesting thing is Banglades HAM Tuhin S21ED also attained this year. 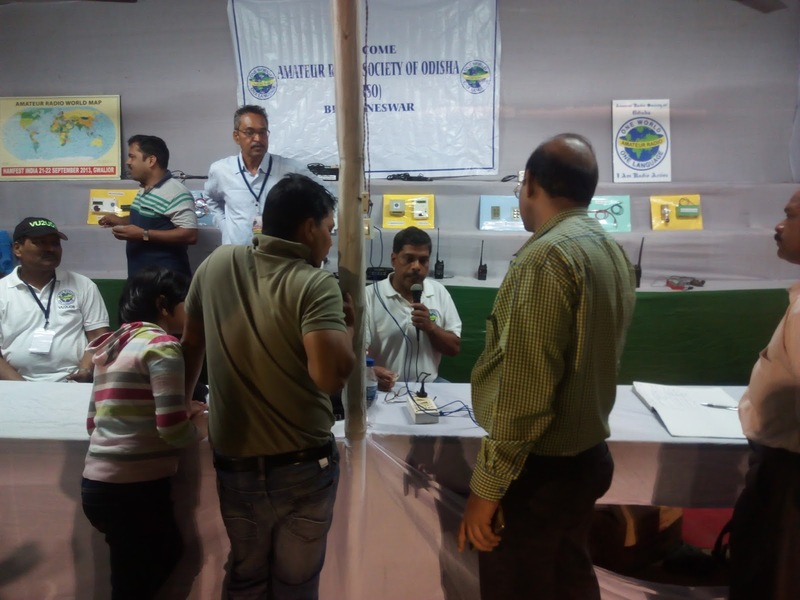 Besides popularizing "Amateur radio" talks and disaster management issues, this years attraction was "Contesting and DXing" delivered by VU2YVK Bijoy. Among technical session "PHSNA" and "UBITX Workshop" delivered by Guru VU3GDP and "modified Tasa's SDR" delivered by Ashok(me) VU3VFU. back line from left to right VU2AES, VU3NEJ, S21ED, VU2PQS, VU3NFF, VU2HRF. I am receiving Memento from VU2JAU. Relaxing in the evening... light technical discussions. 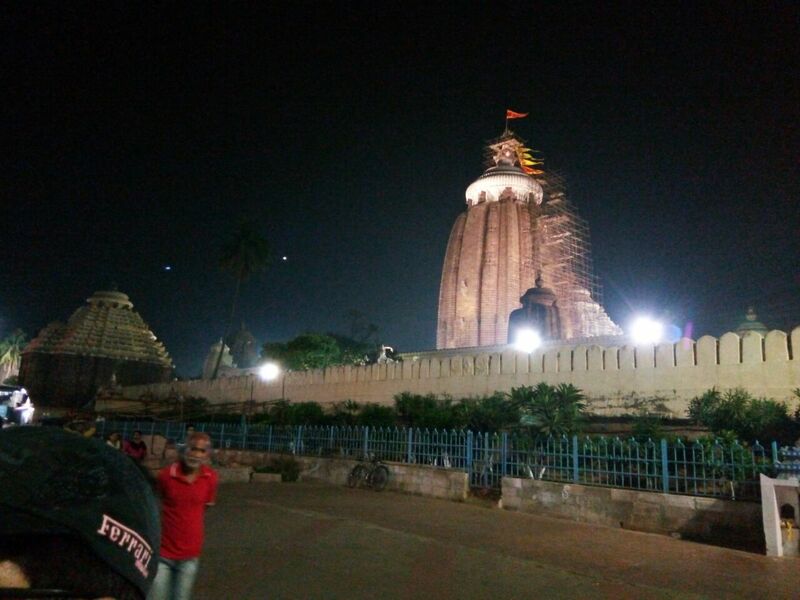 And the Famous Jagannath Temple, for which not only Puri but also Odisha is Famous in the world. Today I completed 200 QSOs. 200th contact is with VU3WBB. 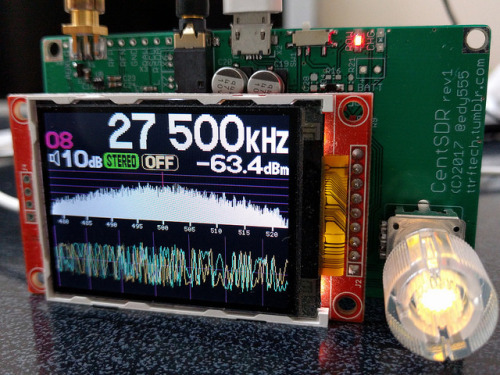 With QRP Power of BITX-40, an inverted-V antenna and with computer SMPS power supply i completed 200 QSOs within a span of 11 months. Longest distance QSO is East Timor Island (5800Km). 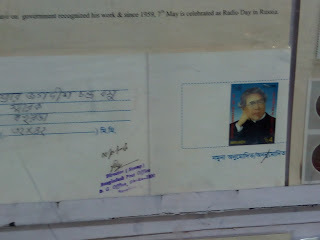 even one IOTA station is on my log book. 3 DX land contacted Indonesia, Malesia and Bangladesh. 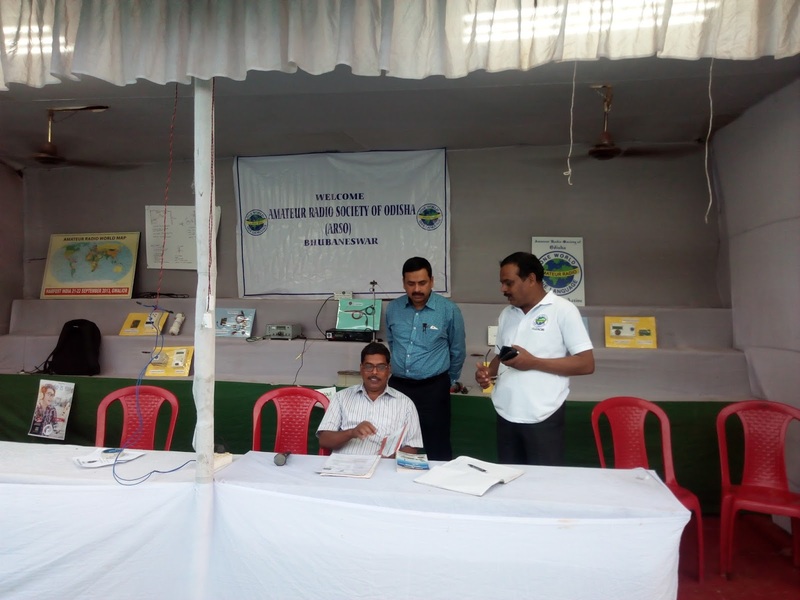 Consistent communication( Signal report wise) with VU3MVH/VU2OWB ( Om Abhijit from Nadia, WB). 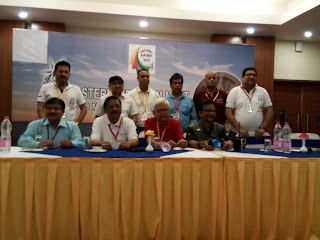 maximum number of QSOs with VU2NIL(Om Basant). 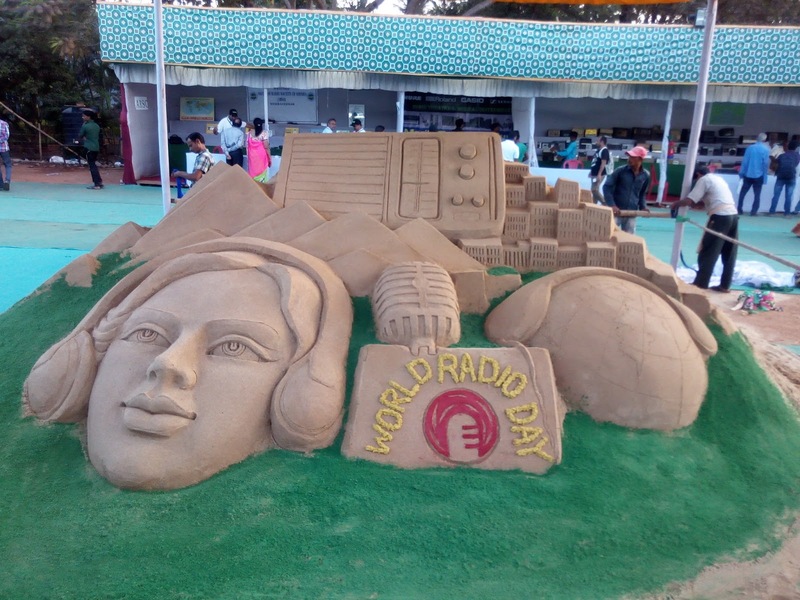 For last few years Outreach International used to organize a radio fair. 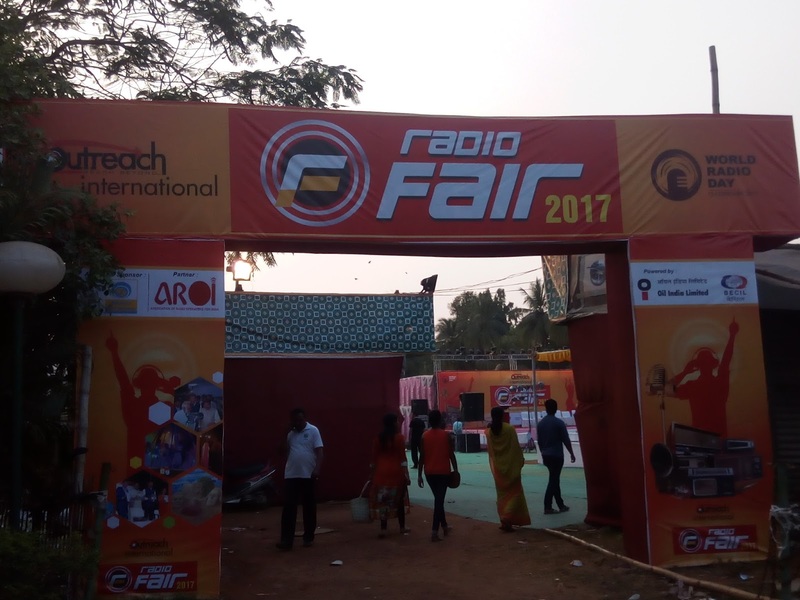 This year too they organized "International Radio Fair 2017" at Bhubaneswar, Odisha. Besides other participants, Amateur Radio Society of Odisha(ARSO) participated in the fair too. 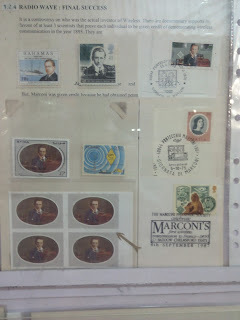 The main attractions of this fair was HAM radio, vintage radio collection and radio related stamp collection. 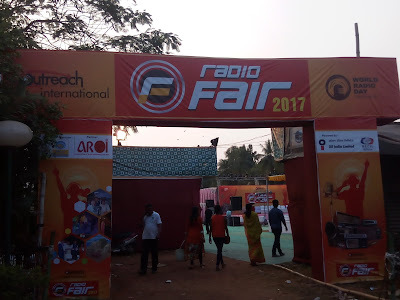 International Radio Fair 2017 Bhubaneswar, Odisha. 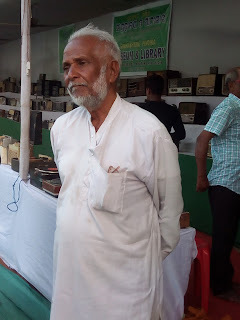 Mr. Ghanasyam collected several radios Most of them are vintage tube radios. 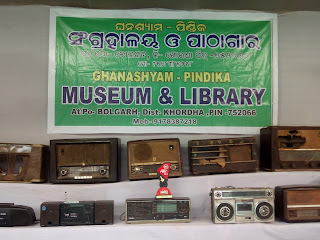 Though they are non functional but for a museum it is very nice to see radios from my Grand fathers time. 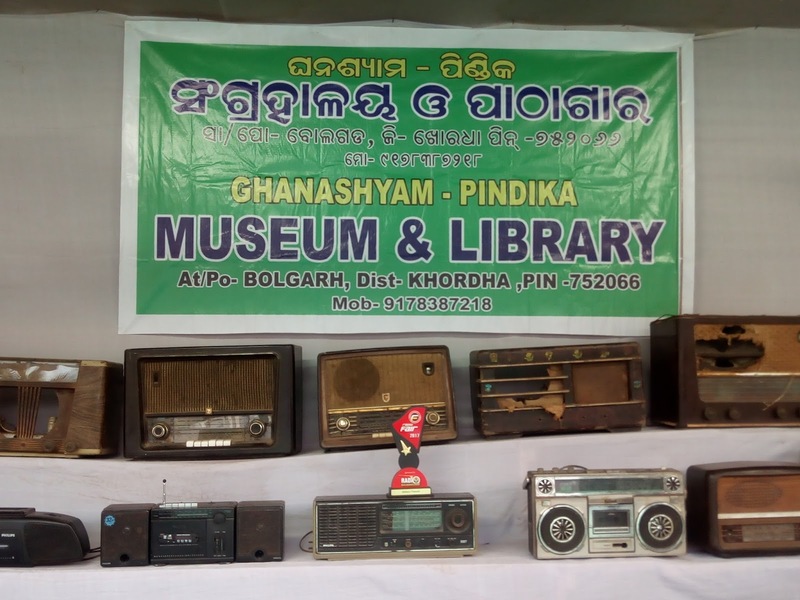 Around 500 to 600 radios were on display. Mr. Ghanashyam in his 80s now a radio lover, I would say Radio Crazy man. Vintage Radio Stall from a distance. 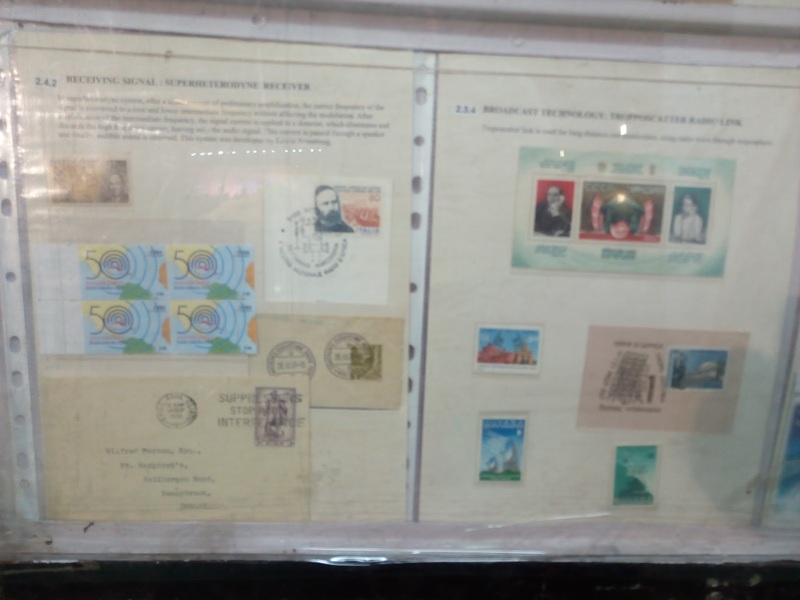 The other attraction is Philatelist Mr. Ashok Kumar Tiwari. 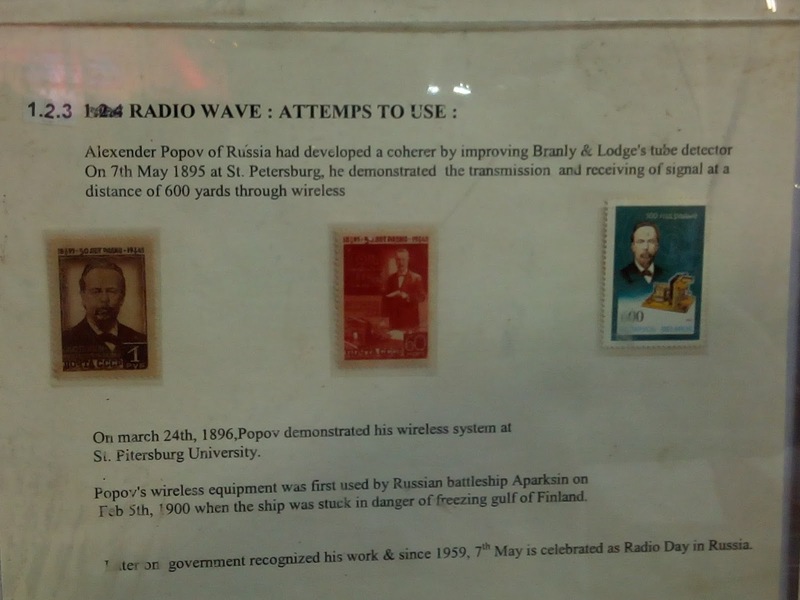 his collection includes Radio inventors/researcher, development of radio, broadcast history, Emergency Communication and HAM radio. 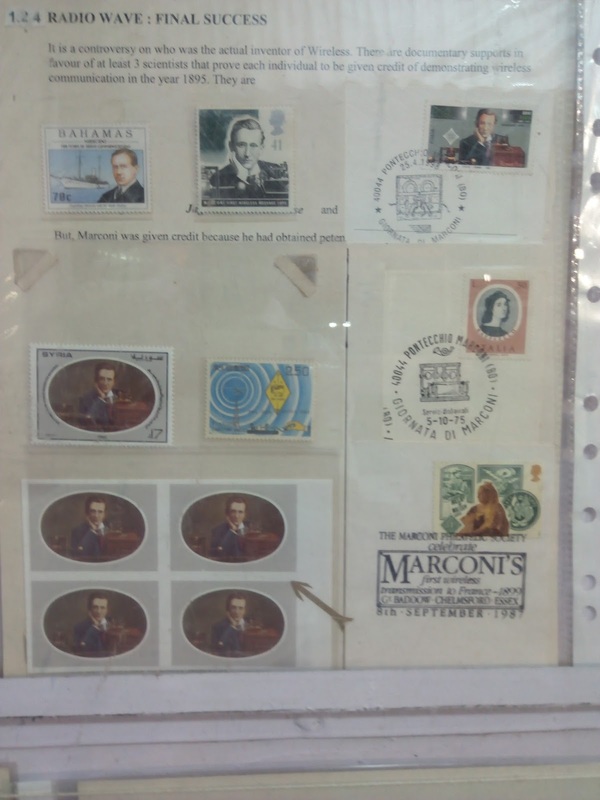 A very nice and exhaustive collection. Last but not the end... 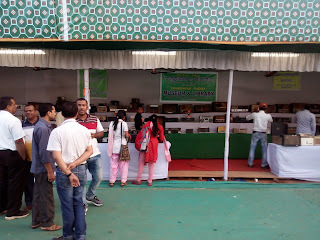 The HAM radio stalls. In this category ARSO Bhubaneswar and ARCCS from Kolkata put up their stalls. Evan they have made a special call-sign for this Event(AT0IRF). In ARCCS stall, they have displayed and try to promote ON-AIR and how to reach out more people. On the other hand ARSO team focused on HAM radio Homebrew and Radio concepts. 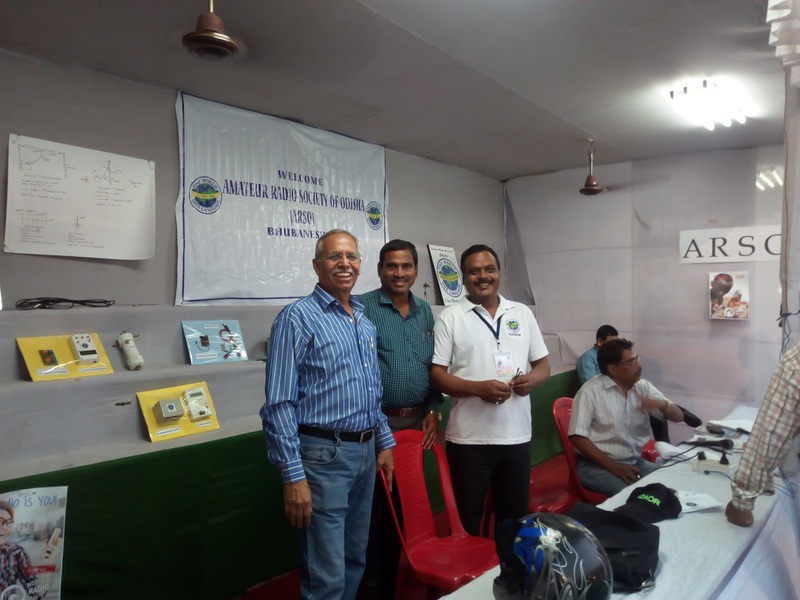 VU2ABG from Surat came to meet ARSO team. 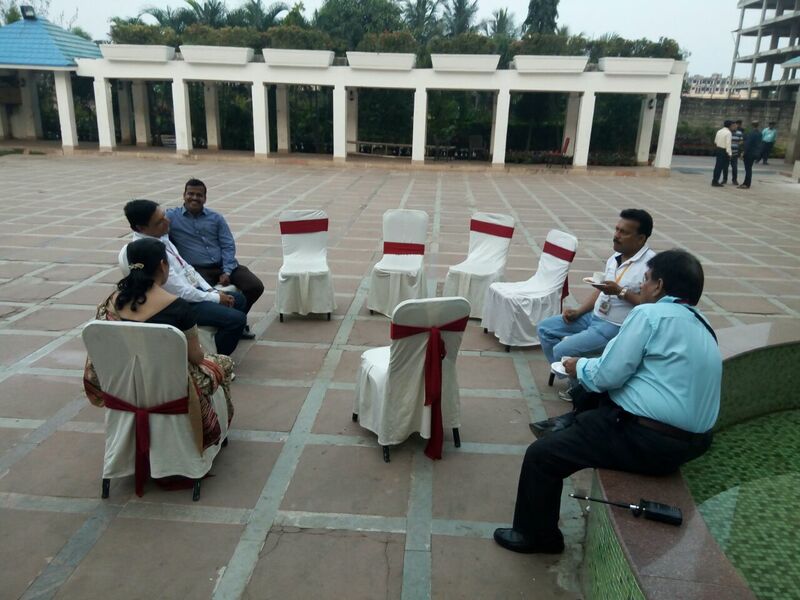 Though it was a very nice initiative, participation should have been more. Though it is organized jointly by UNESCO no International participation seen. hope coming year these shortcomings are fulfilled. During this period I have setup my HAM Radio Station. Equipped with VHF(QYT KT 8900) And HF BITX 40m from VU2ESE Farhan. My antenna is a Inverted V for HF and 0db GP for VHF both are mounted on a 35 feet Bamboo mast. As VHF is factory built till now it functions well. I have successfully communicated 30 Kilometer air distance on VHF(10Watts and 20 Watts). Further reach is possible but our club members are within this perimeter only. BITX 40m as it is obtained from VU2ESE is good but only problem is on-board VFO, which drifts with time and while TXing. But I got 58 report from our club members within 30 kilometers. I was received by VU3SUY and VU2PLL but due to drifting VFO my calls were rejected 😀. For your eyes thirst I am putting some pictures. BITX and QYT KT 8900 stacked. The VHF setup is courtesy VU2BPJ. I am very much thankful to him. The HF setup is assembled and Tested by VU2AOR. I Express my gratitude for his help and advice. The final boxing is done by my Electronics Guru BUDHANA( SWL Tushar Kanti Mishra). I also express my sincere thanks toVU2AOR,VU2BPJ, VU2PQS,VU2FRD, VU2DKD and VU2CSF for coordinating testing of my setup. First of all I beg apology for not posting the Compiler Blog in time. The project is semi complete and working in a minimal sense. I will post the code in a future blog shortly. Well, I have written a small OS kernel(NanoOS) earlier(2008-2010). It was written in C++ and assembly language for Self learning as well as for Fellow colleagues at Redhat, Pune. But never tried a compiler or interpreter, as it was never needed for my Job. Recently for a small project I had to write a small parser. It is not a language parser though. It was written for a parsing a logfile of an application. Even it was designed to detect wrong sequence in that application. Well forget about the application. After that project is complete I thought to write a small Interpreter or Compiler for a very small language. As a first thought It came to me that I should write a Compiler for BASIC(Beginners' All purpose Symbolic Instruction Code) but implementing a full blown BASIC compiler is a big task for me(I sincerely believe I am not that intelligent to write a full blown compiler single handedly). So in my so-called Compiler a very very small subset of BASIC language will be implemented, as it was meant for self training and example for who ever wants to study this subject practically. I prefer practical way to learn. So i will try to lay down fragments of code in sequence. So that any one can follow and understand. Why I choose C or C++ is, I write code more easily in these 2 languages. Any other language can be used. Even BASIC can be used to write a BASIC compiler. But it needs through understanding of the language. I deliberately avoided Gramars and all those Compiler jargon. If those things are needed then please pickup a Compiler writing book and read. If you have read such a book then you may find this article informative on implementation. Keep in mind "This is not a tutorial for Compiler construction courses" or class assignment. Secondly Please Don't Expect it to be of any practical use. This is just for my personal pleasure and to share my pleasure with others. In next instalment I will start with lexing/parsing code.